Today I was thinking about all of the little things we take for granted. And how we overlook some of the smallest things in our life that make our life easier. 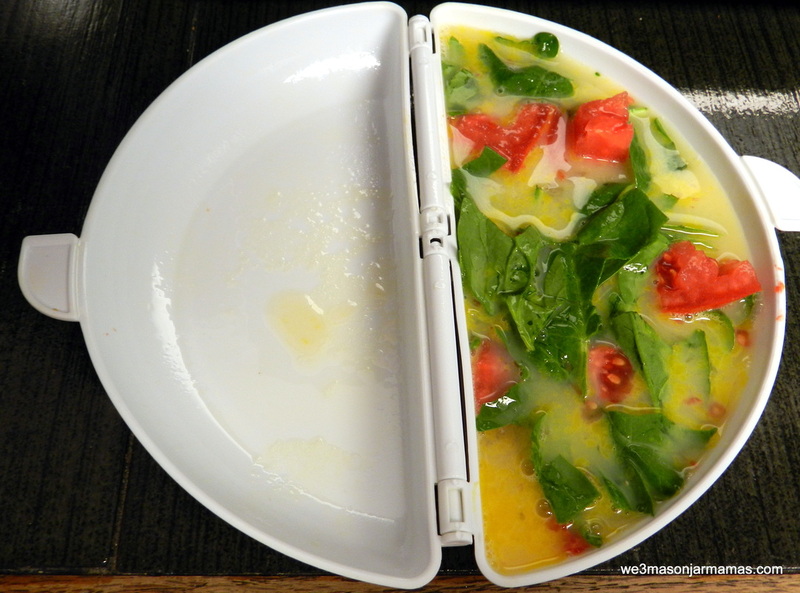 This is why I am going to talk about my omelet maker. My daughter actually had one when she was living here and I was just amazed at the ease of making a 3 minute breakfast! Then she moved out and with her went the best invention since sliced bread! Now I had to drag out the frying pan, spray it with some kind of chemical in a can unless I wanted to melt some butter or margarine. Watch the heat unless my eggs burned and if you add spinach that can burn as well. Adding tomatoes made the eggs watery and depending on the cheese you have a scorched mess! And flipping forget it! Now after being frustrated over the whole mess I’m not really hungry anymore, now I have to scrub the pan, clean the top of the stove from the spilled egg mess and scorching on my glass top stove. Oh where is an omelet maker! I checked Publix, Walmart, Big Lots, K-Mart and a few other stores. I think everybody knew I was looking for one for they suddenly all disappeared off of the store shelves. What am I to do. And of course my daughter is telling me oh I made a sausage and egg omelet for me & ryan, Oh I made a veggie omelet for me and Ryan..Rub a little more salt into the omelet maker blues wound. But then one day a few weeks ago I walked into Dollar Tree and off to the right was a display in all it’s white plastic glory a remake of the original melamine plastic an omelet maker! I don’t think I stopped smiling for what seemed like hours. I have one! I can now make a 3 minute breakfast again! Sausage and egg omelets, veggie omelets, cheese omelets the world is just one big egg paradise! Life is good…So what is the one item in your house you can’t live without? Until next time…Mama Carol. 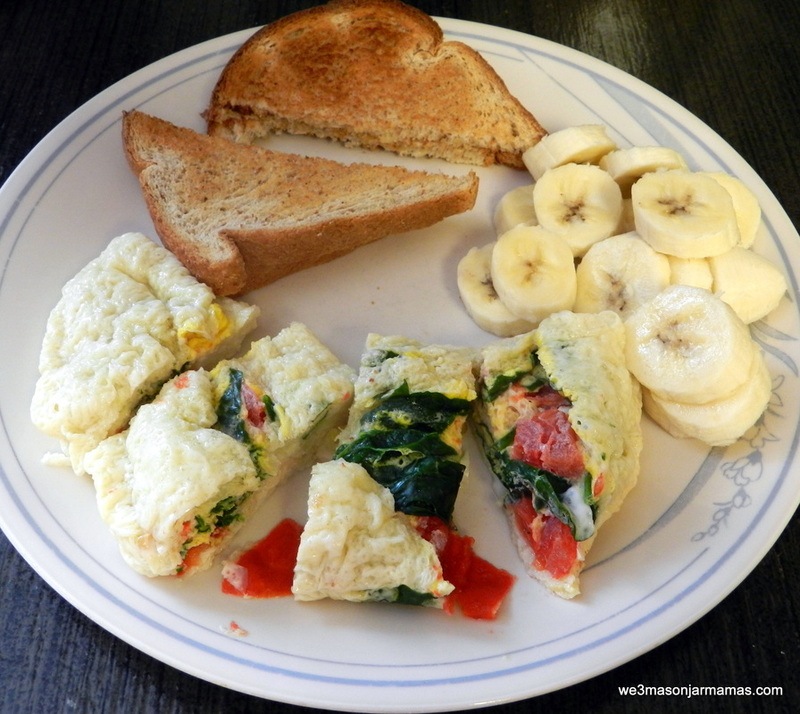 This is my spinach & tomato omelet with 1 egg and 1/2 cup of egg whites. around 100 calories! Does This Look good Or What!